The 7 Best Spots for Paint & Wine in West Virginia! 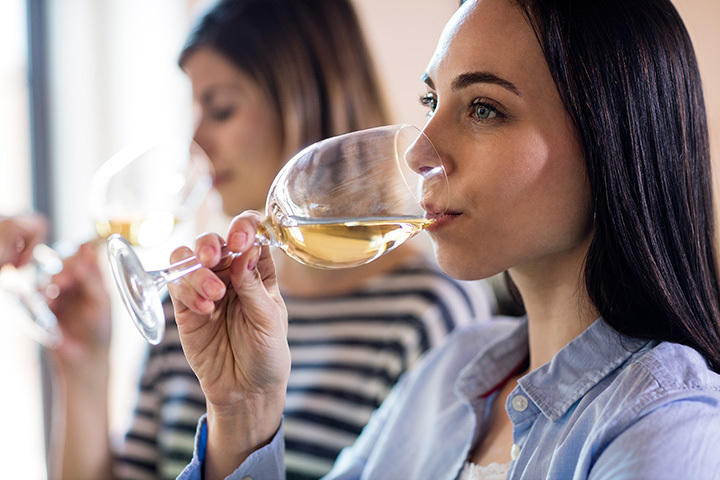 One of the fastest growing trends in America is the paint and sip business, because it allows people to gather together and enjoy a glass of wine or beer and create something from nothing. Whether it's a private party celebrating a special event, a public social event, or a fund-raiser, attendees will leave feeling happy and successful in having a great time. Check out one or more of these great places and begin expressing your creative side! Painting isn't the only thing you can do with a little wine and creativity. Guests at Uncork and Create in Charleston, West Virginia, can create their own unique artwork, whether it's on canvas, a wine glass, or rolled up in a sushi roll. Ages seven and up can attend, but only those 21 and older can enjoy their own wine. Private parties can be arranged for any event or theme, too. If you're looking for a break from the traditional art class, take a Paint It Forward class at Wine & Design in Huntington, West Virginia. You'll have an opportunity to paint and sip your favorite wine while raising money and awareness for a worthy charity. It's a great way to gather with friends and fellow wine lovers. And if you'd like the party to come to you, they have a Wine on Wheels program. Urban Easel in Shepherdstown, West Virginia, offers two-hour paint and sip or paint with a purpose classes with all supplies and the first glass of wine or beer for one low price. Additional drinks can be purchased, but no experience is necessary and you'll leave with a finished personal masterpiece. Pop the cork on your creativity at Moon Rive Studio in Wheeling, West Virginia. You can enjoy your own wine with friends, co-workers, or family. Several different classes are offered during the week and all supplies are provided in the cost. You'll have a great time expressing yourself through this creative and fun-filled event. Bring the kids and watch them have fun creating hand-painted pottery, glass, or clay art at The Wow Factory in Morgantown, West Virginia. Walk-ins are welcome, but appointments can be arranged for larger groups. Open every day except Monday, kids aren't the only ones who can explore their creative side because every Friday night is Ladies Night. What do you get when you combine great steaks, great drinks, and fun? At Angus & Ale Restaurant & Bar in Berkeley Springs, West Virginia, they call it Paint Nite Wednesday. No experience is necessary but make sure to bring your hunger and thirst for creative expression with you as you get personal instruction from artists who will show you how to put your art on canvas. Do you like getting together with friends and enjoying an evening of wine, fun, and laughter? You'll want to visit Four Corners Club in Inwood, West Virginia, for one of their monthly Paint Nite. You don't have to be a painting pro to go home with a fabulous one-of-a-kind creation that you'll be proud to display.